Creating a world where LGBTI+ people are valued, safe and happy in their experiences is a team effort. We work with a wide range of professionals each year to educate them about equality and diversity. We run a week-long awareness week called Stand Up for second-level schools, highlighting homophobic and transphobic bullying and supporting schools with resource packs and teacher training. We offer specialised LGBTI+ training to mental health professionals, the education and the corporate sector. 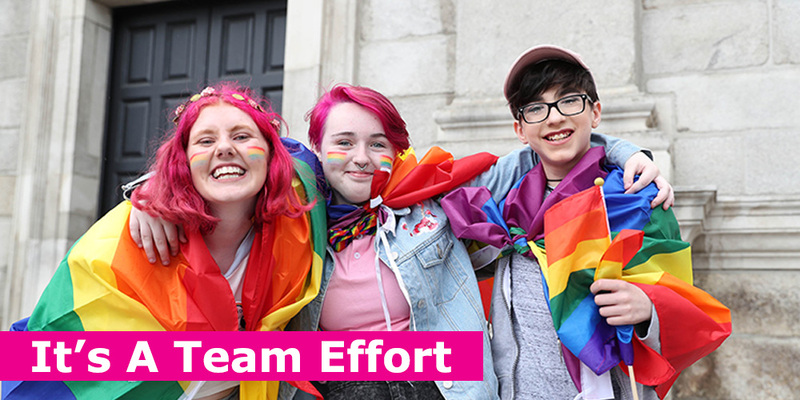 We support Youth Workers and empowered individuals to set up their own LGBTI+ youth groups all around Ireland.